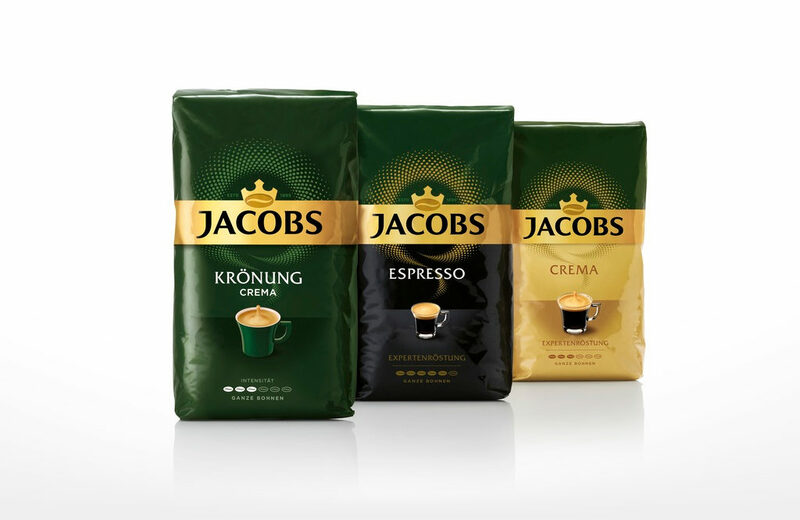 Jacobs was founded in 1895 by the brand’s namesake Johann Jacobs, a retail entrepreneur with a dream to democratise high-quality coffee with the best aroma. He was one of the first coffee retailers to roast his own coffee beans on site, guaranteeing consumers consistent, high-quality fresh coffee. We were briefed to develop an unmistakable, consistent, distinctive visual identity. Elevating the global Jacobs Masterbrand to ensure consistency both on and off pack, increase shelf standout and facilitate consumer navigation between ranges. 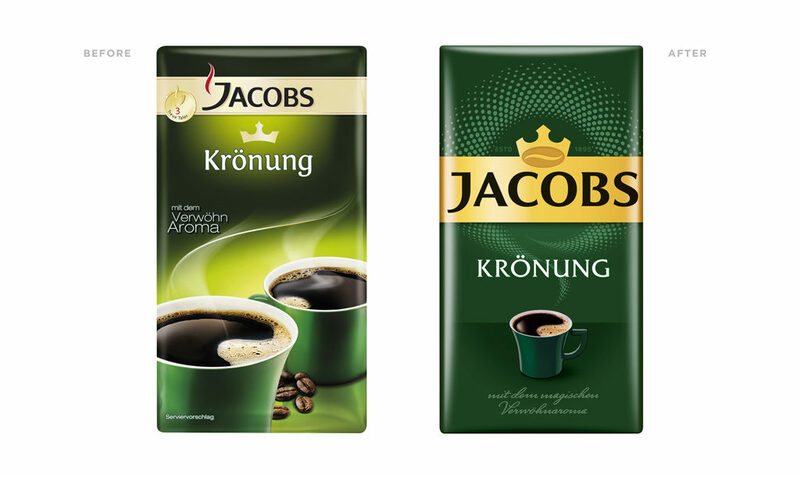 The crown commonly used on packaging was identified as one of Jacobs’ distinctive assets and has been developed to contain a coffee bean, elevating it from a generic crown to a mark of coffee mastery. 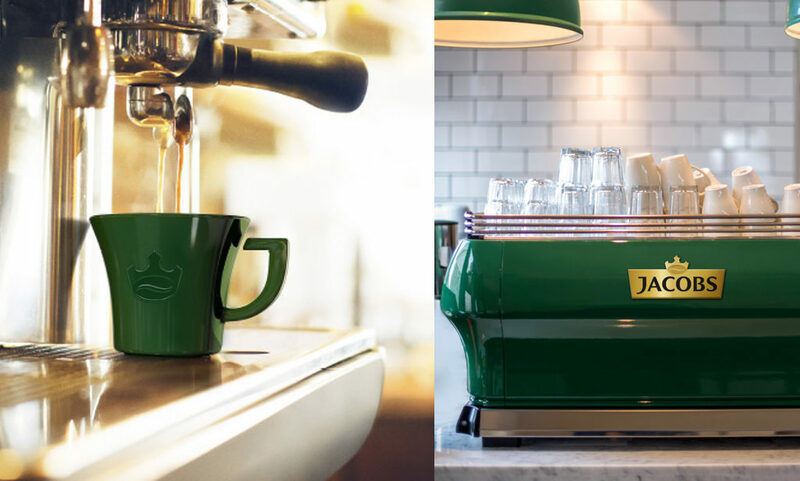 Symbolising Jacobs’ 125 years of coffee expertise, its transformation makes it an unmistakably unique and ownable asset. 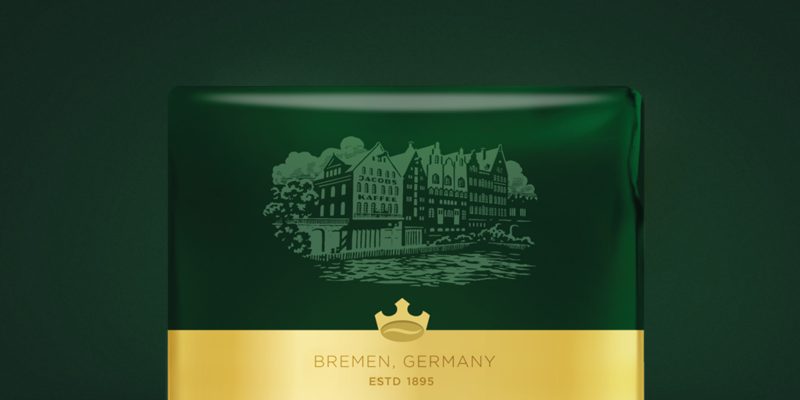 Along with the crown, the colours green and gold, the aroma and the green cup were identified as key assets of the brand. These assets have also been reworked, making them ownable and distinctive, to ensure instant recognition of the Jacobs brand. The end result is a consistent and distinctive Masterbrand approach that has unified markets, and introduced an established and clear pack hierarchy, creating prominent packaging for Jacobs on-shelf.